The function of the respiratory system can be divided into two parts: the conducting portion and the respiratory portion. The conducting portion conveys, moistens, and warms the air from outside the body as it makes its way to the lungs. The exchange of gas occurs at the respiratory portion. 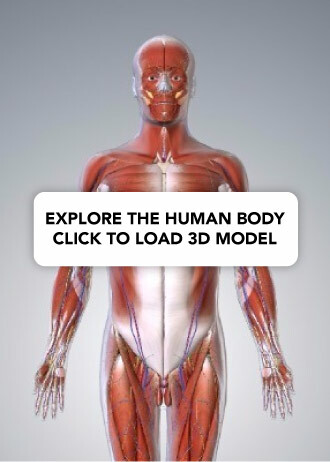 Structurally, the respiratory system is divided into the upper and lower respiratory tracts/systems. The upper respiratory system consists of the nasal cavity, oral cavity, pharynx and their associated structures. The lower respiratory system consists of the trachea, bronchi, bronchioles and alveoli. It develops relatively late in the embryo – which can cause problems when babies are born prematurely. In this article, we will discuss the development of the respiratory tract and its clinical correlations. The respiratory system is derived from the primitive gut tube – the precursor to the gastrointestinal tract. The gut tube is an endodermal structure which forms when the embryo undergoes lateral folding during the early embryonic period. At approximately week 4 of development, an outpocketing appears in the proximal part of the primitive gut tube (the foregut) – this is known as the respiratory diverticulum. Initially, the respiratory diverticulum is continuous with the foregut; but this is not functionally suitable. The formation of a longitudinal ridge known as the tracheoesophageal septum rectifies this to make the two structures compatible with life. The diverticulum bifurcates into two buds, which become the left and right primary bronchi. The primary bronchi then proliferate to give rise to secondary and tertiary bronchi. Fig 1 – Initial development of the lower respiratory tract. A tracheoesophageal fistula is a direct connection between the trachea and the oesophagus. It can arise as a complication of surgical procedures, or can be congenital. The presentation therefore varies. The infant may become cyanosed during feeding, or may vomit/cough up food. Management is usually through the surgical resection of the fistula, and the anastomosis of any discontinuous segments. 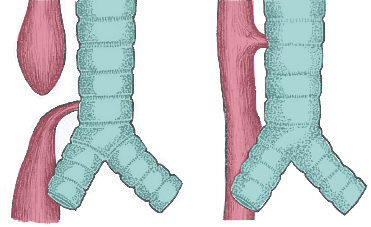 Fig 2 – Common types of tracheoesophageal fistulae. Each bronchopulmonary segment will become a specific portion of the lung, carrying its own tertiary bronchus and branches of the bronchial and pulmonary arteries. During weeks 8-16, the ducts develop within bronchopulmonary segments. Bronchiolar buds branch off from the tertiary bronchi, and begin to proliferate. In order to stop the lungs from starving the body of oxygen, the ductus arteriosus shunts blood from the pulmonary artery directly to the aortic arch. This closes at birth in the vast majority of people. During this stage, the lungs resemble the development of tubule-acinous glands – hence the name. Throughout the canalicular stage, the respiratory bronchioles develop, budding off from the terminal bronchioles formed within the pseudoglandular stage. Despite this, there is still no gas exchange membrane, and so the lungs are not yet functional. Therefore, the prognosis for vast majority of babies born during this stage is not high. Type I pnuemocytes – basic simple squamous epithelial cells, which comprise 90% of the alveolus. Type II pnuemocytes – simple cuboidal cells which comprise the remaining 10%, and are responsible for the production of surfactant. Surfactant is amphipathic, meaning it is able to bind to both hydrophobic and hydrophilic molecules simultaneously. In this case, surfactant binds to water and air within the alveoli. This has the effect of reducing the surface tension. As a result of the reduced surface tension, the alveoli are able to expand to greater volumes at a given pressure. Simply put, surfactant allows us to expand our lungs with minimal effort. If a baby is born prior to the development of type II pneumocytes, they will be unable to produce surfactant. As a result, they will have difficulty expanding their lungs to take their first breath. If a pre-term delivery is unavoidable or inevitable, the mother can be given glucocorticoids to stimulate surfactant production in the fetus. 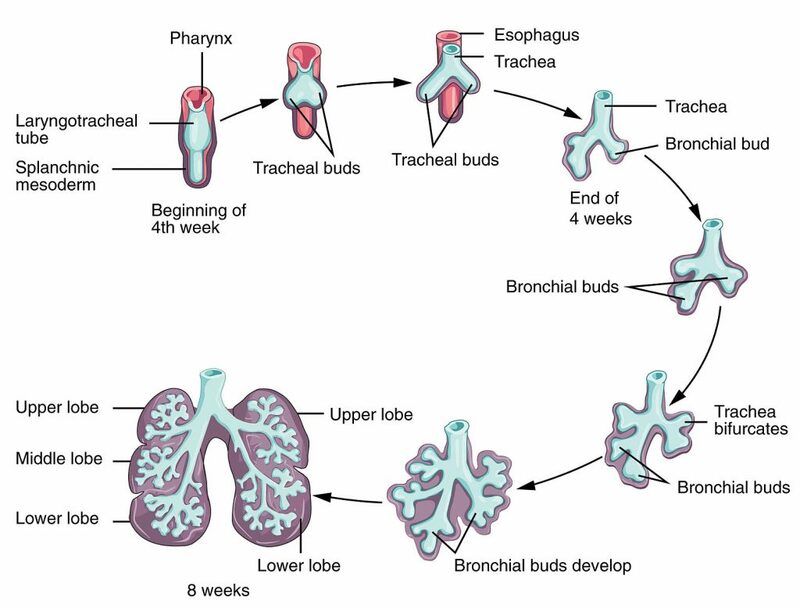 At which week does the terminal sac stage of respiratory development begin? Surfactant is produced by which type of cell?